Shopping for Wonder Woman Polo Shirts? Strong like an Amazon, with the beauty of Aphrodite. High-quality polo t-shirt featuring the unforgettable Wonder Woman symbol! Release your inner goddess with this Wonder Woman Logo Embroidered Patch Polo T-Shirt. 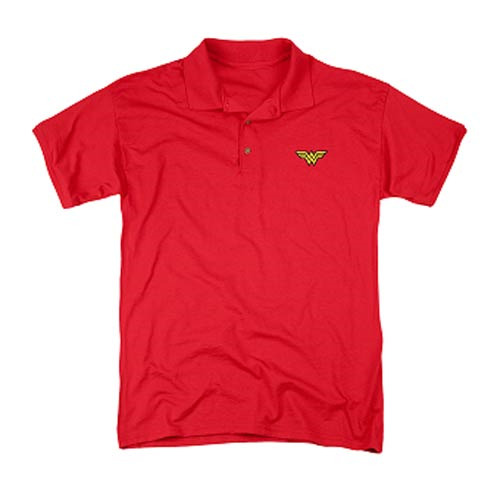 The high-quality red pre shrunk polo t-shirt is made of 50% cotton/50% polyester. Machine washable. Ages 12 and up.